I understand that Precision Concrete Cutting is only franchising in the following areas: St. Louis, MO, Springfield IL, South IL, OH, WV, PA, NY, VT, NH, ME, ON, QB and Australia. All other areas are sold out. I would like to have someone contact me with more information and I understand the financial requirements of this franchise opportunity. 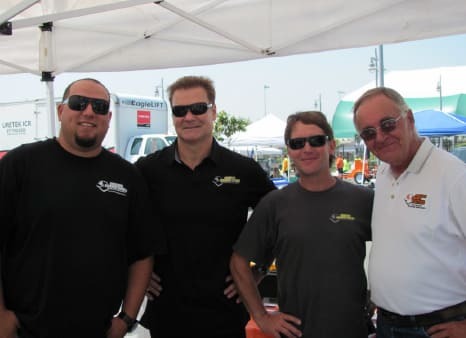 Precision Concrete Cutting Franchise Owners come from all sorts of backgrounds. We have former professional hockey players and dot com executives. What all of these owners possess and makes them successful is the drive and determination to take a franchise from the ground up into a healthy and highly profitable business. Our franchise owners are willing to be taught and take a proven business model and implement it in their territory. They are innovative team players, who share their experiences and resources with each other. Precision Concrete Cutting (PCC) franchises fulfill the federally mandated need to maintain sidewalks and public walkways. Anywhere there is concrete; there is a need for our service. PCC is the market leader in both technology and price using its proprietary system and methods. Small Capital Requirements – The total investment of $135,000 includes $67,000 of equipment, which is all you need to begin working. Our low overhead cost model avoids all unnecessary expenses and focuses your franchise on being successful from the first day. Many of our franchisees are able to finance the cost of the franchise, if necessary. Proven Business Model – PCC is the market leader in its industry and has an impressive track record in its introductory markets. Our new franchisees often make $150,000, $300,000, and $500,000 in their first three years, respectively. Huge Market Potential – Our nationally recognized brand has already made its way to territories open for sale. You will have a jump-start to your revenues thanks to the marketing we have already done for you. Recurring Revenues – 50% of your franchise sales are to recurring customers with contracts. PCC has few competitors, so we remain the best solution. Continuing Support – Our expert staff is always available to support your franchise’s needs. We hold monthly conference calls on sales and operations training topics. Also, we are continually seeking improvements on systems and marketing materials to make sure you are as efficient and profitable as possible. Note: We are ONLY FRANCHISING in the following areas: St. Louis, MO, Springfield IL, South IL, OH, WV, PA, NY, VT, NH, ME, ON, QB and Australia. All other areas are sold out.